GCW Resources / Question / Question of the Day: Can placing hot pots and pans on granite hurt the granite? The heat generated by household pots and pans cannot hurt the granite itself because natural granite is formed in much higher temperatures. It is heat resistant. While placing hot pots and pans on granite countertop will not hurt the stone, it can destroy the sealer. Stains and dark areas will appear on the countertop. 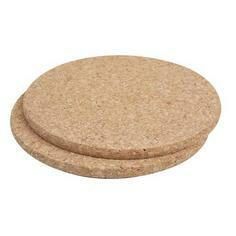 We recommend using trivets, cutting boards or coasters to protect granite countertops.